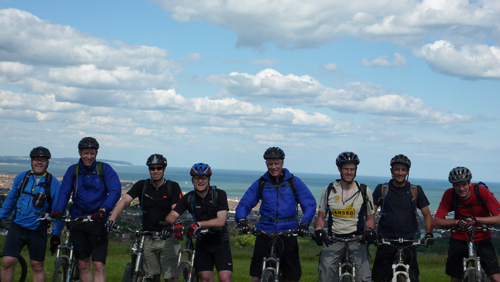 The team had chosen to ride the 103 mile South Downs Way (Winchester to Eastbourne) from the 23 - 25 May. The trail has over 13,000 ft of ascent and descent, making it a challenging route. The ride went well and the team raised £1,045 in sponsorship for the MS Trust. We would like to say a big thank you to Marie and Dave Rennie, and to all the members of Team Grimace for their support.